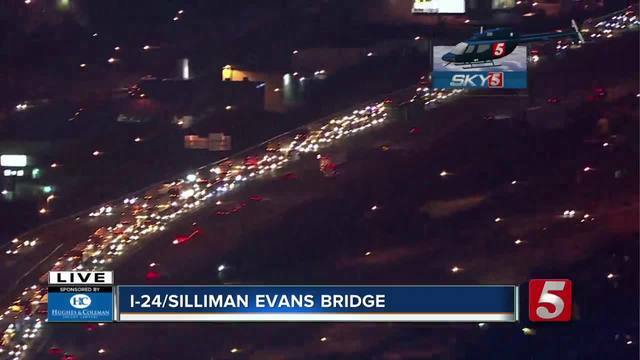 A fatal crash has snarled traffic on Interstate 24 eastbound in downtown Nashville. A driver was killed on Interstate 24 when a piece of concrete went through his windshield. Police said the object was likely thrown. The incident happened around 5 a.m. Tuesday near Shelby Avenue. Officials with Metro Nashville police said 54-year-old Joe C. Shelton was killed. According to police, the piece of concrete was likely thrown from the Shelby Avenue Bridge. The incident closed the interstate for most the morning, causing major delays for commuters.